The spate of sexual harassment exposes, accusations and charges of powerful male leaders in all spheres, has left many reeling. But what is apparent is that surrounding these perpetrators were legions of enablers. These individuals and/or organisations were all complicit in facilitating, and thereby perpetuating a culture, where these activities are permissible and accepted. 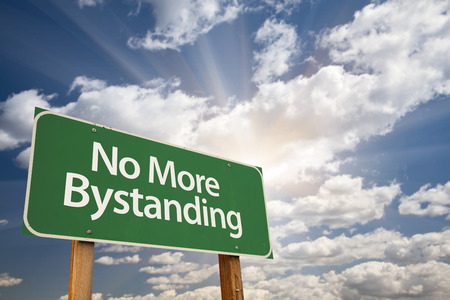 Bystander syndrome has been a hallmark of all the cases and it's time that we stepped back and critically evaluated the impact of this phenomenon and come up with some solutions. Quickly. So although some of these men have been outed and some held accountable, there is need for more serious work to start. Agencies supply hostesses, hotels provide a venue and celebrities act as comperes. The organisation itself and the participants all willingly facilitated and were complicit in bystander syndrome of this abuse. This dinner was described by a host for the evening early on in the proceedings as "the most un PC event of the year." Recently appointed U.K. government children and families minister Zahawi reported feeling uncomfortable and left early, after only an hour a half of the event. Of course these people knew. But the failure can't be attributed to one person or organisation. All parties were complicit. In what is a callous and transactional abuse of women and there have already been consequences. David Walliams, hailed as the new Roald Dahl of children's books, another host for the evening has seen the withdrawal of his book from three independent book shops. David Mellor a the joint chairmen of the President's Club Charity Dinner, stepped down both as a director and as chair of the apprenticeships delivery board. The Presidents Club itself has closed rather than admit responsibility and commit to reform. Are you the sort of leader who will stand up for those around you? Find out with 3Plus’ Leadership Assessment. The impact of bystander syndrome was nowhere more evident than in the recent sentencing of Larry Nassar the doctor of the U.S gymnastics team. The guilty medical practitioner will spend the rest of his life in prison. But there is no doubt that there were individuals and institutions that enabled these acts of serial abuse for which are being held accountable. Many of the key players including the U.S. Gymnastics Board and Michigan State officers have resigned. The question remains is that enough? Legal action may not be possible in this case for complex legal technicalities. But the fact remains that 150 women were failed by a lack of due diligence and without the persistence of investigative journalists harnessing public opinion, then it is highly likely that Nassar would still be in post. The resignations of those officials only took place after Nassar was sentenced. Until there are serious, impactful and lasting consequences for any party involved in bystander syndrome we continue to protect the perpetrators and perpetuate the culture they operate in. Nothing much will change. At the intersection of where power and money change hands, women will continue to be loose change and pawns in what to many is a "boys will be boys" game. Let's be clear. Bystander syndrome is a gender neutral activity, but more than ever we need male allies to get out of "hear no evil, speak no evil and see no evil" mode and address what Justin Baldoni describes as "toxic masculinity"
All women can do is vote - and with their wallets too. FOR ADVICE ON TACKLING SEXISM AND DISCRIMINATION IN YOUR COMPANY – CONTACT 3PLUS NOW!